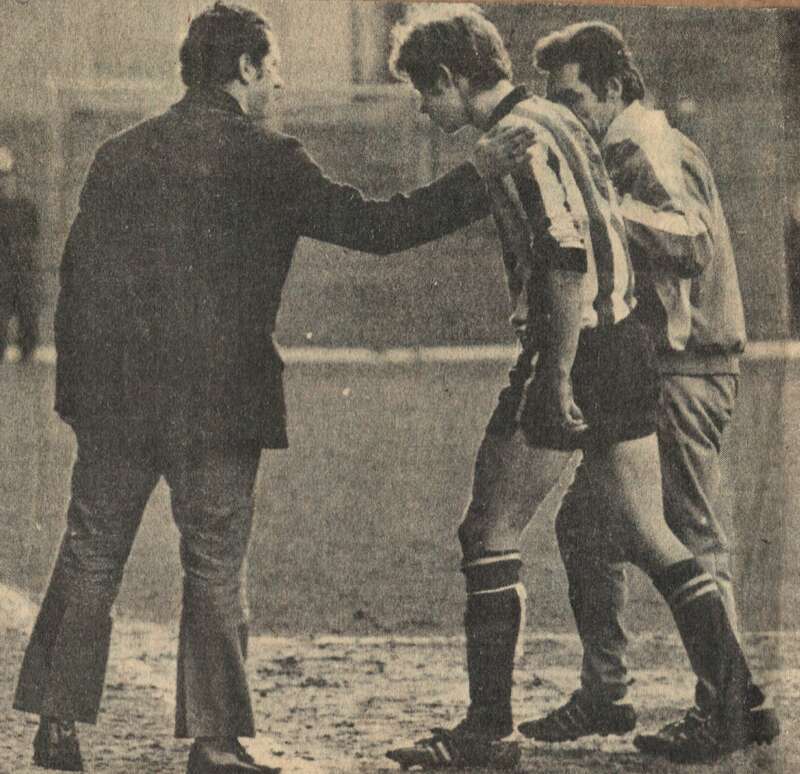 All Brentford supporters of a certain age are already well aware of the details of the Murray Jones fiasco so I will not take up any more of your time by repeating the story of that entire sad and sorry episode that cost us so dear. Given the subject matter of this article, all I would say at this point is that given how utterly appalling the hapless striker turned out to be, he was treated remarkably gently by the Brentford faithful who were left struggling to come to terms with quite how incompetent the long awaited replacement for departed legend Dean Holdsworth had turned out to be. I suspect that their silence was caused as much by stunned disbelief at what they were seeing rather than simple good manners. We felt sorry for someone so patently out of their depth. The same was the case with poor Ashley Bayes who proved to be a mistake waiting to happen whenever called upon in our goal. I’m as guilty as everyone else for giving him a hard time when he committed yet another bungling error, punched a cross into his own net whilst seemingly defying the laws of geometry or dropped the ball at the feet of a waiting opponent. It was hard to take at the time but I now realise that just as had been the case with Paul McCullough before him, the fault really lay with the managers who exposed someone to potential ridicule who was patently unready to play first team football. Something similar happened years later to Clark Masters as well and we lost a potentially valuable asset far too soon. Ian Benjamin was yet another non-striking striker with an abysmal goal scoring record. David Webb tried to talk up his ability to hold the ball up and act as a target man but we fans saw straight through this and recognised that we were watching yet another slow, superannuated over the hill journeyman. Webb appeared to have pulled off a real coup when he persuaded former England Under 21 international Paul Davis to step down to join us. The thirty-three year old midfielder had played over four hundred times for Arsenal and it was expected that he would revitalise our fairly sedate and prosaic style of football. The reality was totally different as Davis found it impossible to adapt to football at the sharp end and could not cope with the culture shock of seeing balls fly over his head rather than being played to his feet. That being said he gave the impression that he was just going through the motions and never demonstrated any real enthusiasm or relish for the task at hand. It really looked as if he did not want to be at the club and he played a mere five matches for us and eventually departed with the fans’ disapproval ringing in his ears. Wrong player – wrong time. Winger Dean Martin initially looked a tricky customer but never recovered from a nightmare performance one Boxing Day on an icy pitch against Brighton. The Braemar Road side of the pitch was frozen and tricky in the extreme and Martin couldn’t keep his feet and suffered accordingly. The supporters got on his back and he soon drifted out of the reckoning. A shame and a waste of a good player as he had real ability. Leon Townley was a rare Eddie May signing from Spurs but the central defender was awkward, slow and cumbersome, and tried to play football in all the wrong areas. I remember with a shudder Townley struggling in vain to cope with the pace and strength of Barry Hayles who showed him no mercy – neither did our fans who called him The Dancing Bear and were not impressed with what they saw. Goalkeeper Andy Woodman also fell foul of the fans who wanted him to be more positive and dominate his area and thought him to be too tentative and reactive. He played out of his skin in the title clincher at Cambridge but otherwise rarely justified his record fee for a goalkeeper of one hundred thousand pounds. Ron Noades brought in striker Steve Jones on loan from Bristol City with a view to paying an astronomical four hundred and seventy-five thousand pound fee for somebody patently past his best. The fans were up in arms at his below par performances and thankfully the mooted deal was not concluded and the money was not squandered. Mark McCammon was yet another misfit who cost a significant fee. Despite looking every inch a footballer he signally failed to deliver. He is best remembered for his cataclysmic miss from a free header at Loftus Road which might have changed our recent history had he scored, as he surely should have done. And yet for all the criticism he faced, he eventually became a sort of anti-hero as fans recognised that he was always giving everything he had and appreciated his efforts even though he was just not up to scratch. Eddie Hutchinson was another who eventually gained the grudging respect of the fans who were won over by his relentless energy and passion and were able to overlook his lack of technique. Two other hard tackling midfielders, Jamie Fullerton and Ricky Newman, were not so fortunate or well treated as they were considered to be too aggressive by far as well as average on the ball. Darren Pratley was a different kettle of fish as the elegant midfielder on loan from Fulham became a crowd favourite before burning his boats after an unsavoury post match row with fans after a shambolic defeat at Gillingham. Homegrown defender Karleigh Osborne took a lot of unfair criticism from impatient supporters who were not prepared to allow him to develop and learn from his mistakes. He eventually won them over but it was an uphill struggle for the talented youngster who understandably moved elsewhere. Paul Brooker was another who flattered to deceive and throughout his career never did justice to his vast ability. He scored a goal of sheer brilliance after running the length of the pitch at Swindon, but on other days he appeared to be lethargic, disinterested and peripheral to the action. He did not take criticism well either from fans, or indeed, his manager, Terry Butcher, and reacted badly before having his contract cancelled. That leads onto another point. Fans feel that it’s perfectly acceptable for them to have a pop at players, but woe betide the footballer who responds in kind! Unfair – certainly, but that’s just the way it is. Peterborough striker Calum Willock was brought in at the last moment to replace the prolific DJ Campbell but never looked the part as our promotion drive petered out at the last hurdle. He never provided any real goal threat, proved to be a total waste of money, and the fans were, to say the least, not happy with the quality of his contribution. John Mackie also never lived up to expectations after being brought in by Terry Butcher and being immediately named as captain. He had been inspirational at Leyton Orient but the spark had been extinguished, he looked old before his time and he did not last long at Brentford – another Ian Bolton, perhaps? Given the quality of player brought in over the past few seasons and the success we have achieved over that period, perhaps constant barracking of players will become a thing of the past and it is hard to remember anyone receiving regular criticism under the regime of either Uwe Rosler or Mark Warburton, except perhaps for Niall McGinn who sometimes tried supporters’ patience with some tentative displays. 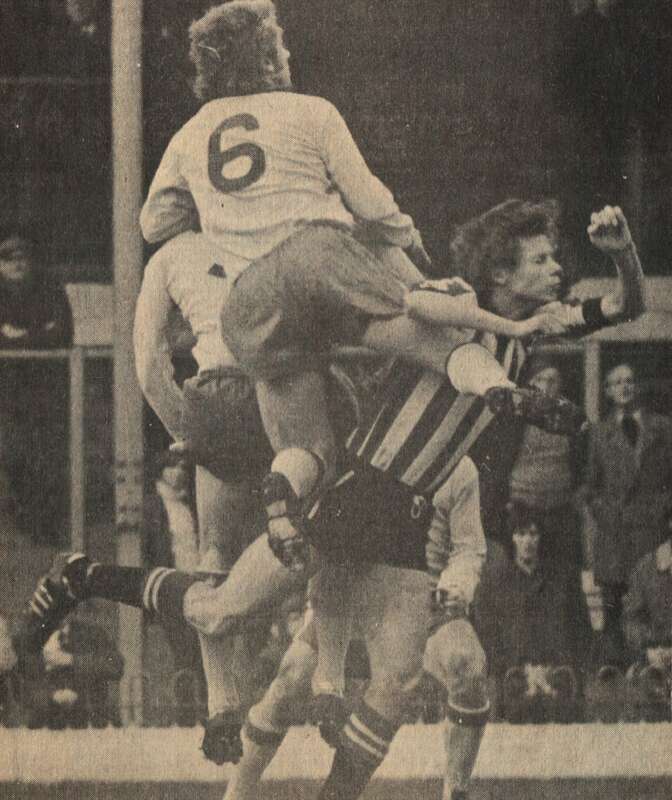 In today’s blog I am continuing with my chat with former Brentford centre forward Richard Poole who has lots more to say about his time at Griffin Park and how he is doing now. I have been in France for the past thirty-seven years and had two hip and knee replacements before I was fifty and quite a few health problems too. I do remember my league debut at home to Lincoln City in February 1974 and I still treasure the telegram I received from Alan Hawley that day, such a great man on and off the field. And yes, I scored against Bradford City in the last home game of that season with the other goal being scored by Dave Simmons. He was such a great help to me and I was so sad to learn of his death in 2007. The only thing I do regret was in my third year at Brentford when I refused Frank Blunstone’s offer to join Manchester United’s youth team. Richard then went on to talk about his managers and team mates as well as some of the characters behind the scenes at Griffin Park. There is so much to say about Mike Everitt and Mr Blunstone. Well Mr Blunstone was a great manager for the years before I signed as an apprentice as well as the season when we went down to the Fourth Division. The problem from my view was Mr Piggott, not to slay him, but as apprentices, Kevin Harding and I had to take the first team training kit every Friday to the local laundromat in Brentford High Street and you can just imagine how we felt when we had to walk there! When we were in the Third Division we were given a leather bag marked with “Brentford FC” on it to put our playing kit in. Well when I was released four or five years later he asked for it back! Anyway Mr Blunstone used to give Kevin and I extra training sessions in the afternoon with a football, which at that time was unusual. I was so sad when he had his car accident as he used to give the apprentices a lift to the training sessions held away from Griffin Park. Mike Everitt gave me my first team chance and it was not as easy as you might remember. I got injured on my debut and came back on Easter Friday away to Colchester who were then top of the league. I was twelfth man but at the meal before the match Roger Cross – well how can I say! So I played all the game and the following day we played away to Chester and I played all the second half and the following Tuesday we played Colchester at home, which I think was my best game, and it finished 0-0. I could go on, but now looking back, there were some differences of opinion between some senior players I think and Mr Everitt. I prefer not to say who, but I think every Brentford fan could see, in particular, a certain one who became a manager afterwards. Mr Everitt had to fight the Gods in the Boardroom, for they awarded me appearance money when I played in the first team as well as a bonus like all the rest of the first team players. 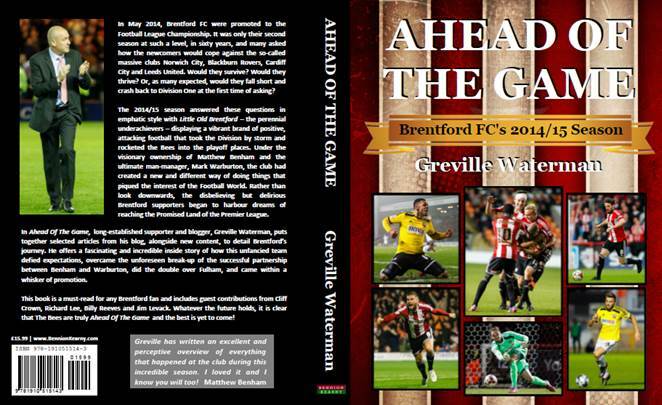 When I signed professional terms with Brentford I was earning, I think, £20 a week or a bit less, and a year after, when I was at Watford I was on £60 a week. Yes of course I would have played for nothing for Brentford. When I made my debut that season Mr Everitt brought some experienced players in like Jimmy Gabriel – well what more can a young sixteen year old at the time ask for? As for Stan Webb, I do think you were hard on him. He was a gentleman, always willing to help us youngsters and he always tried his best in a struggling team getting on in years and I never heard an angry word from him, and us apprentices heard a lot in our time! When I was in my first year in France Mr Everitt phoned me as at that time in 1977/78, Southampton wanted to sign me, but Toulon would not let me go and six months later I had my career finished by my cruciate ligament injury. In all my time at Brentford though, I am not sure there was another person who helped me more than the groundsman, John Stepney, who was very important to Brentford behind the scenes. He was always giving us advice – mostly “get off the pitch!” when we were training in the afternoons. He was a really great man. I could go on and on though, and thinking back, there was one person who I looked up to who left me feeling disappointed to this day and I think finished me at Brentford and certainly turned a small section of the crowd against me. I remember coming back the year after I left for Watford and getting stick from the crowd of about ten people who were watching a reserve match. Anyway that apart, I think you can see my love of Brentford both at the time and to this day. I am still living in the Southern French Alps, but always look out for Brentford’s result first and I am sorry about my English but after thirty-seven years abroad I muddle things up! I hope Richard’s account has left you feeling as emotional and moved as I am.